Unseen Rajasthan - India: Forts & Palaces of Rajasthan- Chittorgarh Fort-Rajasthan-India !! "Are you planning a trip to India? 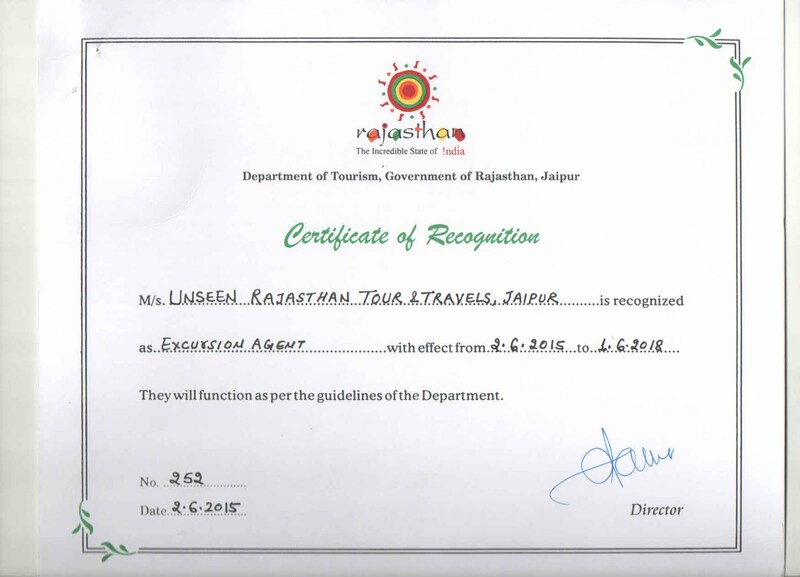 Let "Unseen Rajasthan" help you create a dream trip! We are honest, reliable and we believe in customer satisfaction. Contact us for some great offers!" Forts & Palaces of Rajasthan- Chittorgarh Fort-Rajasthan-India !! Rana Sanga Palace,Fateh Prakash Palace. Udaipur is the near by city alsi known as City of lakes is famous for its amazing architecture and designs. 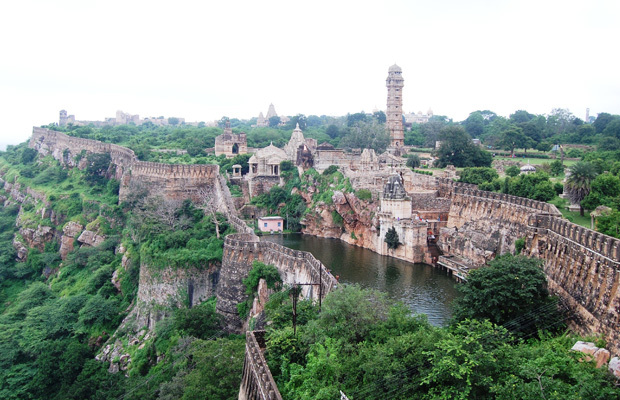 Chittaurgarh Fort has received the credit of being the largest fort of India. The massive fort is located on a high hill near the Gambheri River in Chittaurgarh. Chittaurgarh Fort lies at a distance of 112 kms from the city of Udaipur in Rajasthan. This fort was built by various Maurya rulers in the 7th century. This huge fort covers an area of 700 acres, extending to 3 kms in length and 13 kms in peripheral length. Standing on an elevated hill of 180m, the impregnable fort has witnessed three battles. Chittaurgarh Fort is truly an embodiment of chivalry and pride of the Rajputs. The fort has a long story of romance, courage, determination and sacrifice. A glimpse of the fort still makes one to think the glory of the Rajputs who once lived here. The imposing Fort boasts of well-designed palaces, magnificent cenotaphs and huge towers. The Fort of Chittaurgarh has a colossal structure that is secured by its several strong gateways. Chittaurgarh Fort is an acknowledgement to the courage of the gallant Rajput rulers who sacrificed their life combating dominant rivals instead of surrendering before them. The history of this majestic fort can be traced during the time of Khilji's. Chittaurgarh Fort is said to have been the capital of the Gahlot and Sisodia kings who ruled Mewar between the eighth and the sixteenth century. The Fort was named after Chittrangad Maurya. This colossal fort is accessible through seven huge gates (Pols) that are comprised of strong iron spikes and served as a watch tower in earlier times. The way to Chittaurgarh Fort will take you through crisscross paths that would be interrupted at intervals by seven giant pols (gateways). The foremost gate you will come across is the 'Ram Pol' (the gate of Lord Rama) that has a temple in its vicinity. While climbing further, you would find two cenotaphs near Padal Pol. These cenotaphs are dedicated to Jaimal and Kala, who were killed by Akbar in the battle of 1567. On your way, you will find Padal Pol, Bhairon Pol, Ganesh Pol, Jorla Pol, Lakshman Pol and Hanuman Pol. Next to Padan Pol, there is the memorial which was erected in the memory of Rawat Bagh Singh. He was the one, who got united with King Vikramaditya to battle against Sultan Bahadur Shah. The Bhairon Pol was named to memorize Bhairondas Solanki, who also fought in opposition to Sultan Bahadur Shah in 1534. However, the main gate to enter the fort is Suraj Pol (the Sun Gate). Apart from these massive gates, the Fort has many palaces to boast of including Rana Kumbha Palace and Padmini's Palace, which are wonders of Rajput architecture. Padmini's Palace is the same palace that used to serve the beautiful queen of Rattan Singh. Rana Kumbha Palace is the place that has underground cellars where queen Padmini committed 'Jauhar' along with the children and the other ladies of household. The Fort also comprises several temples including Sammidheshwara Temple, Jain Temple, Kalika Mata temple, Neelkanth Mahadev Temple, Meerabai Temple and Kumbha Shyam Temple. These are the ancient temples that have noteworthy carvings and intricate work. Gaumukh reservoir and Bhimtal Tank are other places worth visiting. Gaumukh reservoir is a huge water tank that gets water from Cow's mouth shaped rock. In the waters of this same reservoir, Allauddin was allowed to see the reflection of Queen Padmini that led to the whole battle. Above all, the fort has towers that depict the glorious history of the Rajput rulers. 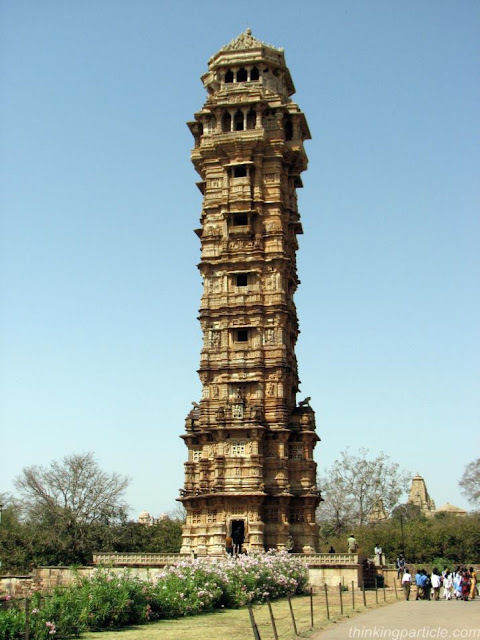 Vijay Stambh and Kirti Stambh are the most famous towers celebrating the victory of Rajputs. Kirti Stambh is the tower that literally means 'the Tower of Fame. Built in the 12th century, this tower is dedicated to Adinath ji, the first Jain thinker. Kirti Stambh is a seven-storied structure with the height of 22 m. one can reach the different floors by climbing through a cramped staircase of 54 steps. The tower is embellished with sculptures of Jain Pantheon. Talking about Vijay Stambh, literally it means 'the tower of victory'. Vijay Stambh is the most impressive structure of the Chittaurgarh Fort. It was constructed by Maharana Kumbha to commemorate his victory over Mohammed Khilji in the 15th century. This giant tower is nine-storied and offers a picture-perfect view of the down-town from its balconies. This huge tower extends to the height of 122 feet and width of 47 sq ft at the base. The circular stairs of this tower has 157 steps. This imposing tower took 10 complete years to construct. You can trace sculptures of the Hindu gods on the alcoves of this tower. In the evenings, Vijay Stambh is illuminated and looks all the more mesmerizing. Chittaurgarh Fort welcomes many tourists around the world to its complex every year. Moreover, the history of this majestic fort makes the visit to this place more interesting. The magnificent monuments of this fort are definitely worth spending some time in seclusion pondering over the heroism of Mewar rulers. This heritage fort of Rajasthan is definitely a 'must-visit' place that cannot be afforded to miss. We On Trip Advisor !! 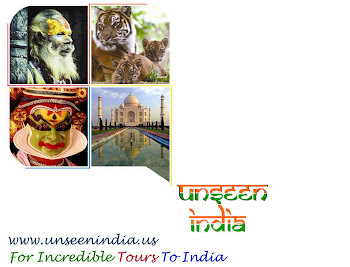 India Travel With Us !! Aghori Baba-The King Of Indian Spritual Magic. Unseen Rajasthan Special-India's Most Haunted Place Bhangarh.